Some embroidery machines have limits to the number of stitches that they can read at one time. 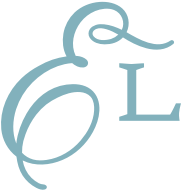 You'll find a list of machines and their stitch limitations on this HELP page here. 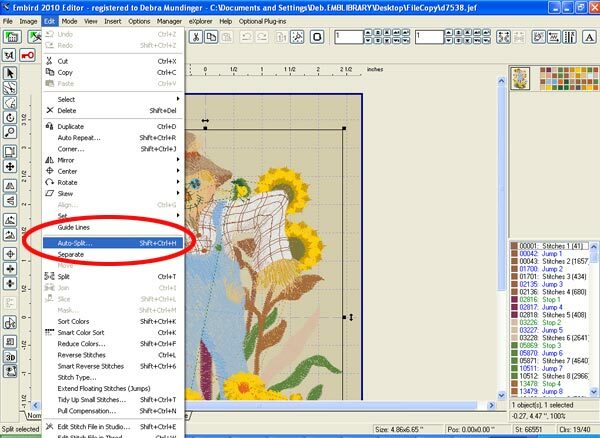 If you have a design that exceeds your machine's stitch count limit, then use editing software to split the design into pieces that comply with your machine's limitations. The steps are outlined below, shown with Embird, a popular editing program (find it at www.Embird.com). 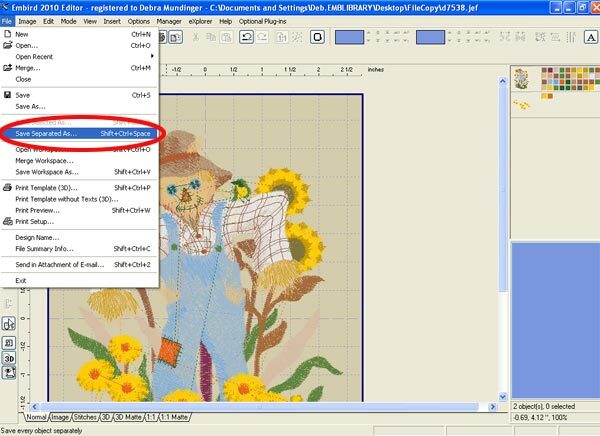 In this example, our embroidery machine is limited to 64,000 stitches, and we're working with a scarecrow design that has 67,000 stitches. We'll need to split the design into two pieces, and each piece will need to have fewer than 64,000 stitches. Begin by opening the design in Embird. Go into Editor mode. Select Edit, then Auto-Split. Enter the maximum number of stitches that you'd like in each piece. In this example, we've chosen 60,000 stitches. The program split the design, and the two files appear in the upper right window. Next, save the designs. Click "File", then "Save Separated As." 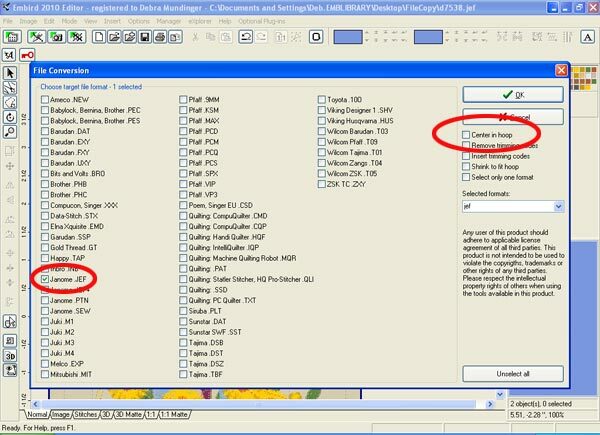 Select the format that you want, and make sure that "Center in hoop" is NOT checked. Click "OK," and the first piece will save. Then the program will give you a pop-up box to save the second piece, too. Load the first piece to your machine, and embroider the design. Then, load the second piece, and embroider it to have the complete design. 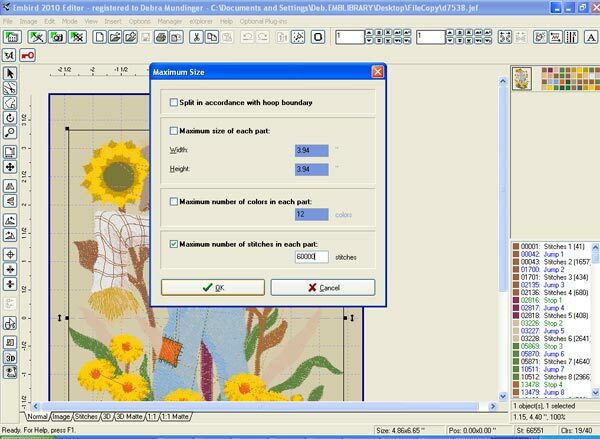 Embroidery Library does not provide splitting services, nor do we have instructions for different software programs. But we trust that the above information will guide you in the right direction for editing a design to comply with your machine limitations.